Just Flight, in partnership with Thranda Design, are proud to present the Hawk T1/A Advanced Trainer for X-Plane 11. 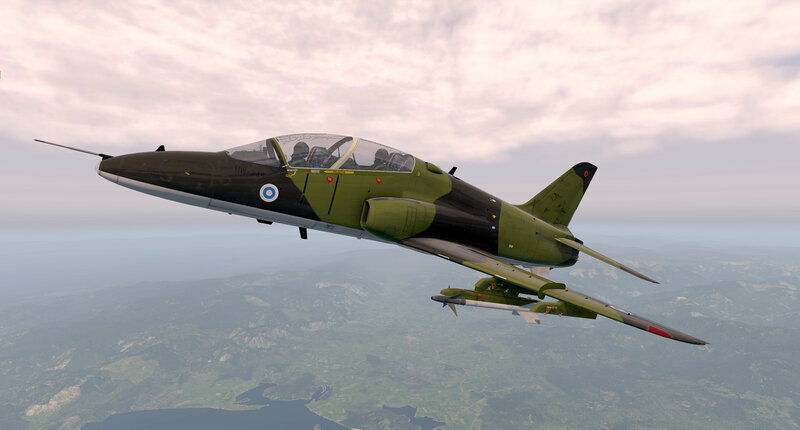 Following on from their critically acclaimed Arrow III, Turbo Arrow III/IV and PA-28-161 Warrior II aircraft for X-Plane 11, this highly detailed simulation of the Hawk T1/A is being developed by Just Flight’s in-house team and Thranda Design following comprehensive, hands-on research with a real-life ex-RAF and ETPS Hawk T1. The Hawk T1 is a British-built single engine jet trainer with a two-man tandem cockpit. First flown in 1974, the Hawk has served as an advanced training aircraft for nearly 40 years. The design has proved to be highly successful, with over 900 examples of more than 10 variants sold to air forces in 18 countries, including the UK, Finland, India and Saudi Arabia. The Hawk T1 variant, first delivered to the RAF in 1976, continues to serve as an advanced jet and weapons trainer. Possibly the most well-known Hawk T1s are those flown by the world-famous RAF Red Arrows display team, which has been flying the Hawk T1 since 1979. The Hawk T1 has been modelled to an exceptional level of detail, featuring PBR materials with real-time environment reflections for superb quality and realism, 4096 x 4096 textures for the highest possible texture clarity, a variety of paint schemes (including the RAF and Red Arrows) and numerous animations. The aircraft features realistic payloads (including guided missiles, rockets, bombs, 30mm ADEN cannon gun pod, external fuel tanks, reconnaissance pod and Red Arrows diesel/dye smoke pod). Both the front and rear pilot positions are included, and the aircraft features a truly 3D virtual cockpit with smoothly animated 3D instruments and fully functioning custom-coded systems and avionics. Capable of loading and firing X-Plane’s default weapons. The currently selected loadout is automatically saved for the next flight. Be sure to check out the optional Livery Pack of 12 Additional Liveries also available for the X-Plane 11 Just Flight Hawk. 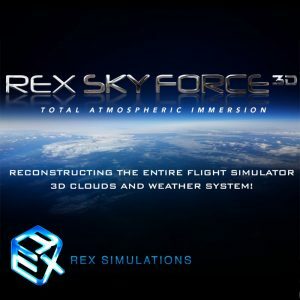 Custom sounds for switches, canopy, warnings and more, featuring accurate location placement of sounds in the stereo spectrum, 3D audio effects, atmospheric effects, adaptive Doppler, exterior sounds spill in when canopy is opened, different sound characteristics depending on viewing angle etc. Be sure to check out the optional Livery Pack of 12 Additional Liveries that is available for this Hawk T1A Advanced Trainer for X-Plane as well. Smoke effects (red, white, blue smoke with smoke pod attachment).